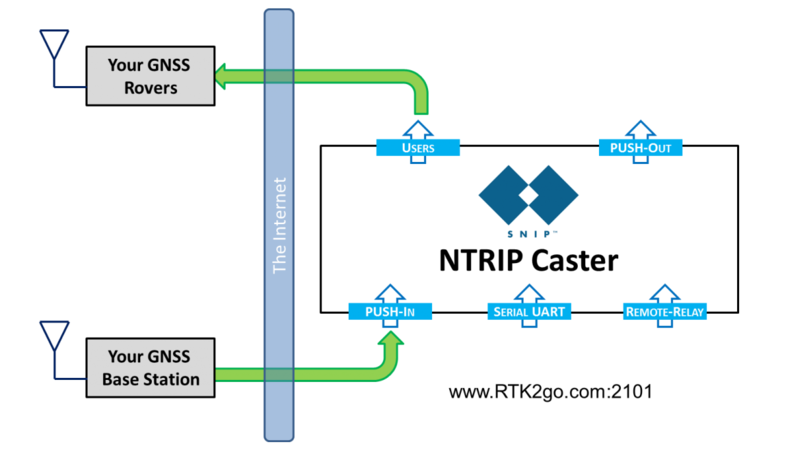 You send your data (from a remote copy of SNIP using a PUSH-Out stream, or from any other valid NTRIP Server you wish to use) to the RTK2go.com SNIP node (which is an NTRIP Caster). You define what the data stream will be called (its mountPt). 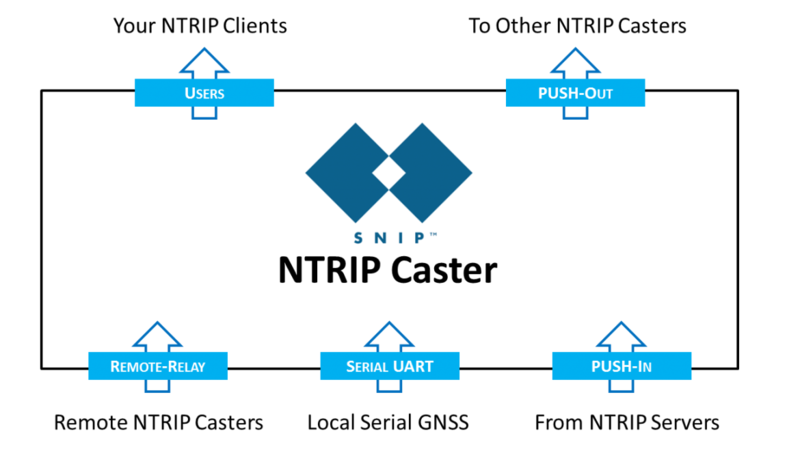 That SNIP node (this machine) accepts your data (creating a new PUSH-In stream) and then publishes a new table entry in its Caster Table, making your data stream available to any NTRIP Client user who cares to connect. When NTRIP Client users connect requesting the mountPt name you selected, they are given that stream of data. Unless that mountPt name is not currently present, in which case they are given the Caster table and disconnected. If you poke about on the web you will quickly find many images similar to the one shown below used to describe the basic components of an NTRIP system. 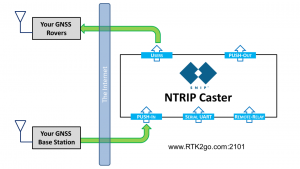 You will be connecting your Base Station (acting as an NTRIP Server) to the RTK2go node to provide input data. 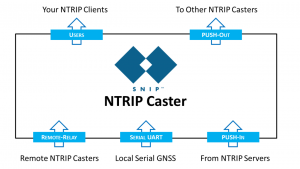 All the end user devices, called Rovers, will connect and obtain that data (acting as NTRIP Clients). This is illustrated below.